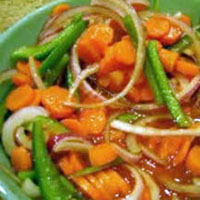 CooksRecipes has quality, kitchen-tested recipes for delicious salads featuring carrot as a main ingredient. 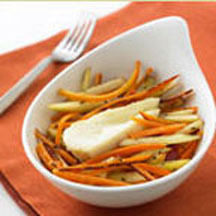 A tangy salad of julienned carrots and Braeburn apples with caraway seed served with a slice of Les Frères. 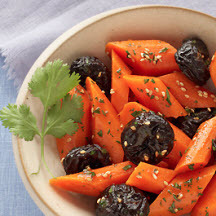 This salad gets its name from the coin-like appearance of the sliced, marinated carrots.